*I happened to be in Tunisia on the 14th of January, which not only marks the 5th anniversary of the Tunisian 2010 revolution; a date that sparked all the 2011 Arab countries' uprisings, but which also marks the 5th anniversary of interrogating my generation: the Arab Spring generation. Despite my excitement for visiting Tunis for the first time, the anniversary matter poured existential questions all over me; and the fact that I was in Tunis to take part in a two-weeks training course on Human Rights advocacy along with a number of participants from several Arab countries did not ease my troubled mind. "Has Tunis revolution achieved anything?" headlines of newspapers, TV programs, radio shows, etc asked on and on that day. "Has the Arab Spring achieved anything, for that matter?" Traveling to Tunis felt like traveling to the starting point of the Arab Spring, the first chapter in the ongoing written novel of the 2011 uprisings. 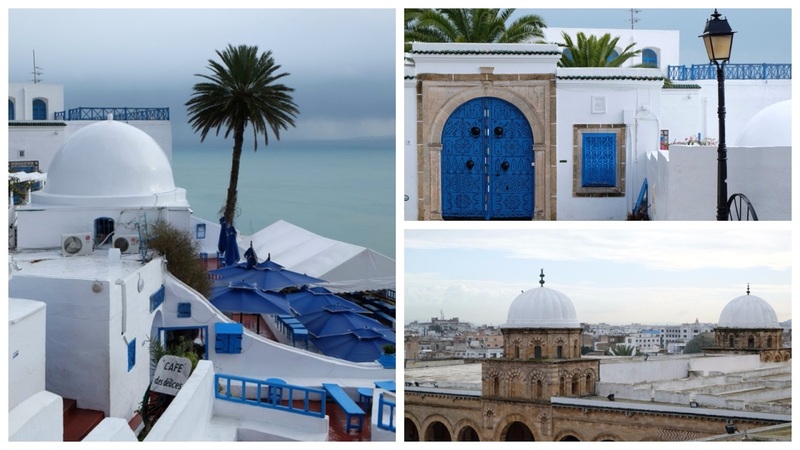 Tunis, where it all began. Part of me thinks that I owe this country a great deal of my political awareness, and another part laments: why did you let the genie out of the bottle, Tunis? why? Even though I hold a belief that Tunisians made a great achievement in their revolution, e.i. avoiding to slip into a civil war or massive armed fights, the Tunisians I met during my stay, probably everyone I met, were not satisfied with the post-revolution changes. Lots of the old politician faces are still leading the system, marginalization of youth is still an issue, unemployment has become higher, the emergence of terrorist groups and lack of security worry most of the Tunisians, the implications of the several terrorist attacks witnessed in the country over the past 5 years have hit its economy so hard. 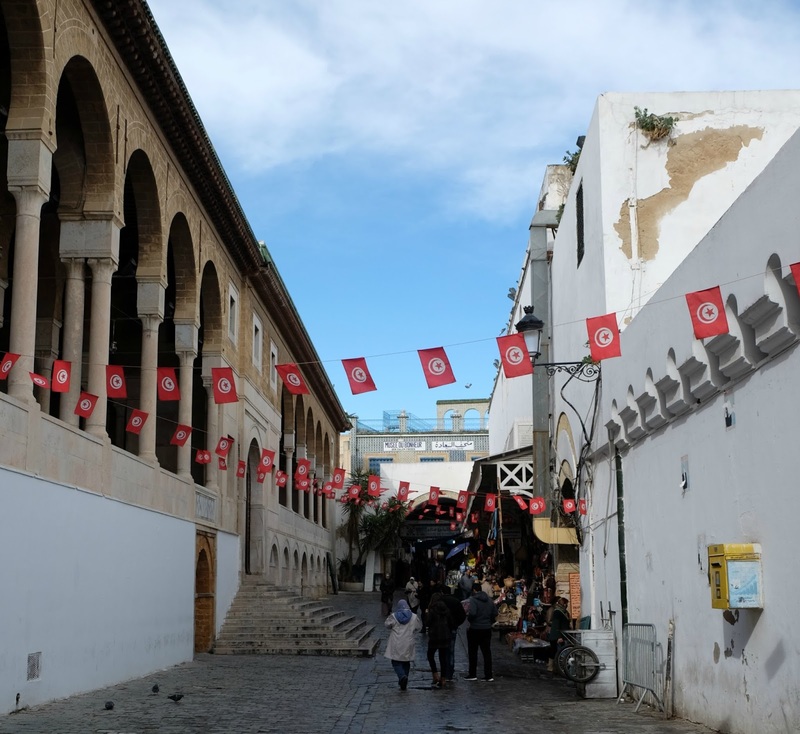 The current riots in southern Tunisia are one of the latest examples of people's continuous anti-government sentiments and dissatisfaction of how the country is managed currently. Walking around the capital, seeing military trucks, police cars, etc filling the streets was a reminder of how things are on the edge in the country. 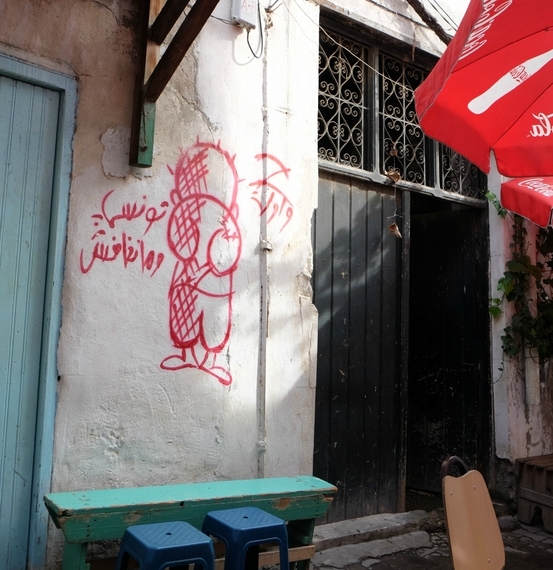 "Tunis did great with its revolution. At least, you did not experience a war like many parts of the region following the uprisings in 2011," with a ridiculous simplification and with my traumatized brain by the war in Yemen, I tell a Tunisian friend. "Change is a process. We started the change but that does not mean that everything will get changed immediately. The only aspect where we see some progress at is that we have a greater space for freedom of speech," replies (A)** my Tunisian friend. Freedom of speech is the pillar of all changes in all walks of life. Any change starts by expressing your thoughts, desires, fears, hopes, freely and without any fear of what can happen next to you after you uttered your words. I realized this once again while being in Tunis. Unfortunately, a great deal of regression on freedom of speech is being seen in Egypt as it's witnessing the 5th anniversary of its 25Jan revolution on Monday. As I get texts on my phone the bad news that a teenage cousin of mine along with his father are in the process to be recruited by the Houthis in Sana'a to go and fight, my troubled mind again asks (S)**, my Egyptian human rights activist fellow at the training if their revolution did fail? Mind you, (S) had to change the route of her travel to Egypt from Tunis for security reasons, as the Egyptian government is having unprecedented paranoia and conducting massive arrests of young people. And instead of being bitter and all negative, her response astonishes me. "No. The revolutions did not fail. In fact, it is unfair to judge these revolutions in a holistic way. One must consider the contextual factors of each country. For instance, illiteracy is a key factor in comparing the different progress between the Egyptian and Tunisian revolutions. More importantly, we're dealing with dictatorships that lasted for 3 and 4 decades. How can anyone expect to fix the situation in a matter of 2 or 5 years!" in her crispy and confident Egyptian accent says (S). I belong to a generation that will be remembered in history as not only a generation that amazed the world with initiating massive uprisings across the MENA region but also as a generation that its ability in making a revolution a successful one was constantly questioned. An email after another sent by journalists asking me to respond to the question, "did the revolutions fail?" make me wonder; that's not an innocent question. It's rather a statement; it is an accusation that my generation is to be blamed for wrongdoings. I belong to this generation which took the first bullet for the next Arab generations. We have our moments of agony manifested in understanding violence is the current loudest language, in seeing our friends vanishing one after another to be forcefully ripped out of their youth to be spent behind bars, in understanding that warlords making exile our new home, in skipping years of youth that were supposed to be spent foolishly, in being incapable of starting a family, in constantly doubting the value of life, in struggling to not see our life as a chain of breaking news, and many other painful moments. And yet, we chose to resist because we began revolutions that next generations will thank us for. I joined Yemen's 2011 uprising and the Arab uprisings because of many reasons; one of them is because I thought that revolutions were a cool anarchy act. Today, struggling to see value in life in such bleak time is another cool anarchy act. **For their privacy's sake, names were kept anonymous.